If we had a pound for every time we heard the old wartime adage: “Keep calm and carry on” since last Thursday’s Brexit vote, we’d all be on our sun loungers in the Maldives by now. Experts, along with people who have an opinion on pretty much everything, have been hogging the airwaves and social media and it is easy to be bamboozled by the sheer volume of claims, counter claims and statistics. Business Partnership has collated post June 23 responses from four high profile membership organisations. Our first commentator is Mike Cherry, national chairman of the Federation of Small Businesses, who called for clarity on “what these decisions now mean for business, including how businesses will have access to the single market and the free movement of people and trade”. Clarity is also the watchword for Dr Adam Marshall, acting director general of The British Chambers of Commerce. “The immediate priorities for UK business are market stability and political clarity,” he said. “All companies will expect swift, decisive, and coordinated action from the government and the Bank of England to stabilise markets if trading conditions or the availability of capital change dramatically. “It is imperative that our political leaders manage the transition as smoothly as possible,” said Mr Walker. “The weeks and months ahead are going to be a nervy time for business leaders, so they have to know that the Government is focused on maintaining stability while a new relationship with the EU is established. Completing our round up is Pip Wilkins, chief executive of the British Franchise Association, who said: “We want to be clear that for us, and for franchising, it is very much ‘business as usual’. 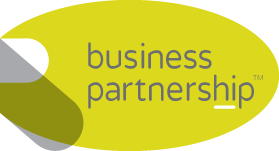 As the political wrangling rumbles on, Business Partnership’s regional partners will continue to work hard for their clients, whether they are buying or selling a business. Find the partner for your area on our Offices page.